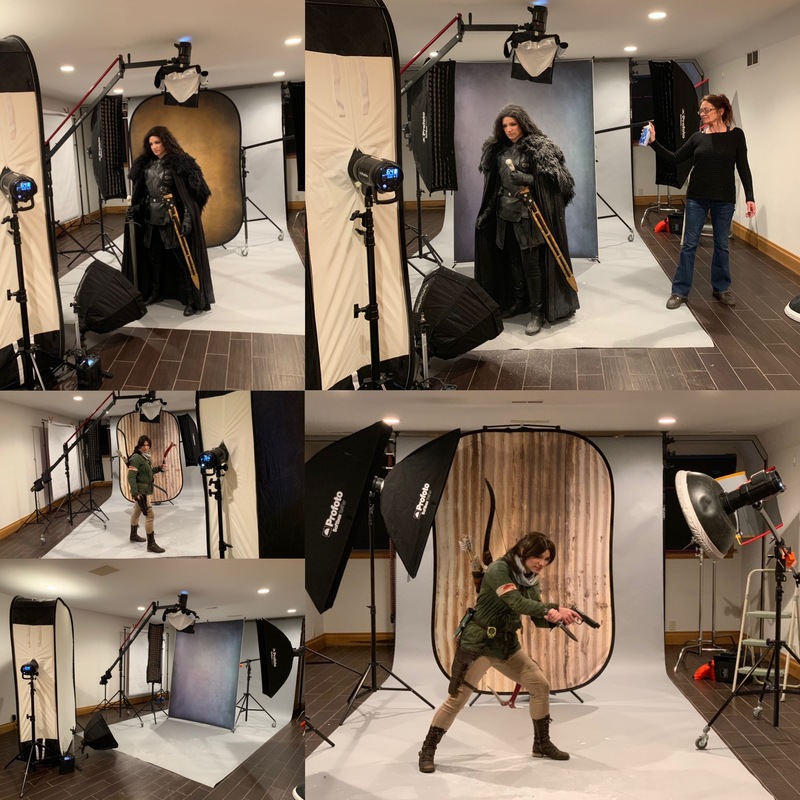 I had the honor of photographing two amazing cosplayers over the weekend at my studio. Both of them are insanely beautiful (inside and out) and extremely talented cosplayers that I initially photographed at my first couple of conventions in 2016. Its been a joy to watch their cosplaying journey and I cannot wait to share the photos. On Sunday I photographed anniegraves.cosplay (Instagram) and AnnieGraves Cosplay (Facebook) as Lara Croft from Tomb Raider and Jon Snow from Game of Thrones. Special thanks goes out to Ivana (mom 🙂 ) for all her help yesterday. It truly takes a village to cosplay.